Tarun Gupta August 22nd, 2013 Internet Marketing no comments. An email list conveys you a message that there are people who are eager to listen from you. This is why it isn't enough only to create a campaign with investment and tools but having an email list of potential customer is also equally important. An effective Email Marketing Service list helps you at various fronts. It maximizes your business reach and helps to deliberate relationships with list constituents. However, it is important here to know that an effective list is one that comprises the people who are genuinely interested in your services and products. There are a plenty of ways in which you may ensure a solid and consistent e-mail list. Below illustrated are a few. Less than 1500 people out of 5000 opens an email sent to them in a campaign and not more than 100 among all will be actually interested in your service. Alike quality of an email, an effective list also plays a significant role when it comes to spreading message through Internet Marketing Services among the potential buyers. Being an organization you can have a number of ways to add power to your email list. Let's take on them on a serious note. Try not to annoy your subscribers with frequent e-mails and mailers but ensure to have a right interval between two consequent e-mails. Having proper frequency will not only allow subscribers to read and understand your services but will give them more options to connect. This the first and foremost method to begin the initiative. There are people to whom you send direct mails and newsletters. It would be a great add indeed if you go to encourage your existing customers to subscribe your newsletter. You should however need to give them a reason to do so. There are many other ways as well that help you to build a devoted mailing list. Despite the reason that your email content has every thing to attract buyers you need to offer them something that has a value add. All you need to give them is to incentivize their subscription by offering some freebies and gift coupons. It is very important to that until your customer has something worth enjoying with your offer, he won't subscribe you. These incentives include a training video, a mini-course or a webinar. To invite more buyers in the subscription list, you may use auto responders comprising different email templates. This is a great tactics email marketing company can contain to entice more and more buyers using by offering them those templates as per users personal business preferences. Auto-responders may therefore can be a big help. Putting some social sharing buttons on your mailers would also be very helpful in building word of mouth and and effective list with a sure shot impact. An effective social media management can add wings to your entire e-mail marketing campaign. If you are asking people to join your mailing list, you must offer them a way to do this. A proper call to action placed on the website lets users to fill the subscription form and send their details to your email database. This is probably the most innovative way to gather list of recipients who would be seriously interested in your services and solutions. Another important factor that convinces more buyers to get added is the content you do add as text. Users have a few minutes or even seconds to view your email. Until they find something compelling in the content they won't even click the link. What you can do here is to push some good content with images and other attractive add-ons. Taking help of an expert in SEO Content Writing Service would be a good idea indeed. 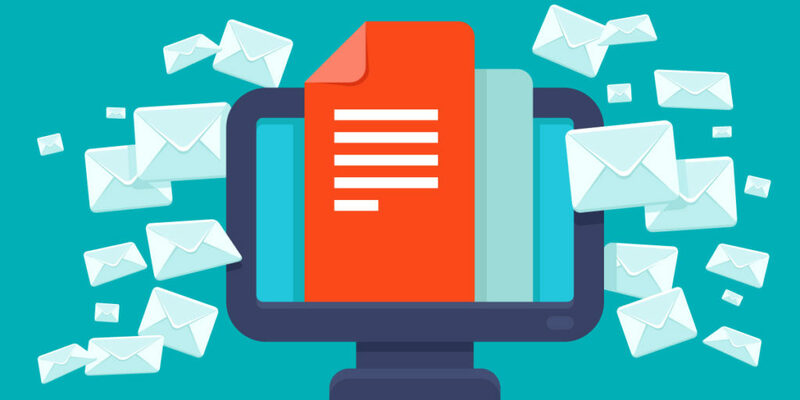 You must remember that getting a mailing list isn't only the thing to consider but offering buyers a reason to read your email. On many occasions users want to subscribe your email or newsletter but they find it tough to navigate to the subscribe button. Either the button is placed somewhere tough to explore or the traversal path to reach the same is quite tedious. On most of the websites this opt-in form is placed on the landing page or front page but in case if it is not at the suggested place, it will certainly create hassles in your reach.